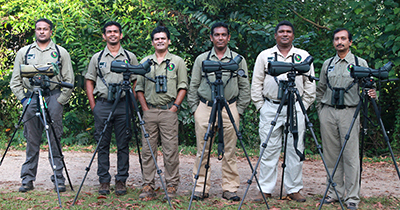 Minneriya National Park - Bird and Wildlife Team (Pvt) Ltd - The Best Birding and Wildlife Watching Tours in Sri lanka, and Tours in India. Minneriya National Park is 8,889.4 ha in size and situated in the North Central Province of Sri Lanka. The area was designated as a national park in1997, having been originally declared as a wildlife sanctuary in 1938. The motive for declaring the area as protected is to protect the catchment of Minneriya tank and the wildlife of the surrounding area. The tank is of historical importance, dating back to the third century AD. Minneriya consist of several types of forest, including low-canopy montane forests, intermediate high-canopy secondary forests, scrublands, abandoned chena or shifting cultivation , grasslands, rocky outcrops, and wetlands. 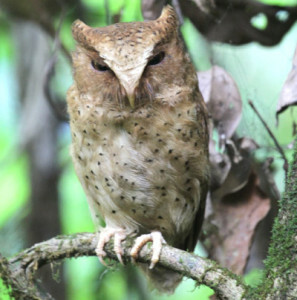 The national park’s faunal species include 24 species of mammals, 160 species of birds most of which are wetland birds, 9 species of amphibians, 25 species of reptiles, 26 species of fish, and 75 species of butterflies. Large numbers of Asian Elephants are attracted to grass fields on the edges of the reservoir during the dry season. The Minneriya reservoir contributes to sustain a large herd of elephants. Individuals of elephants gathered here is numbering around 150-200. Some reports account number of elephants to as high as 700. They migrate here from surrounding national parks and fragmented forests. The park is also important habitat for the two endemic monkeys of Sri Lanka, Purple-faced Leaf Monkey and Tufted Grey Langur and Toque Macaque. Large herbivorous mammals such as Sambar and Chital or Spotted Deer also frequent the park. 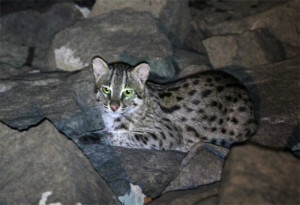 Rarely encountered Leopard and Sloth Bear also inhabit Minneriya. The Minneriya reservoir is an important habitat for large water birds such as Lesser Adjutant, Painted Stork, and Spot-billed Pelican. Minneriya is a dormitory for many resident as well as migrant bird species. Instances of large flocks of 2000 Little Cormorants and Indian Shag have been reported here.